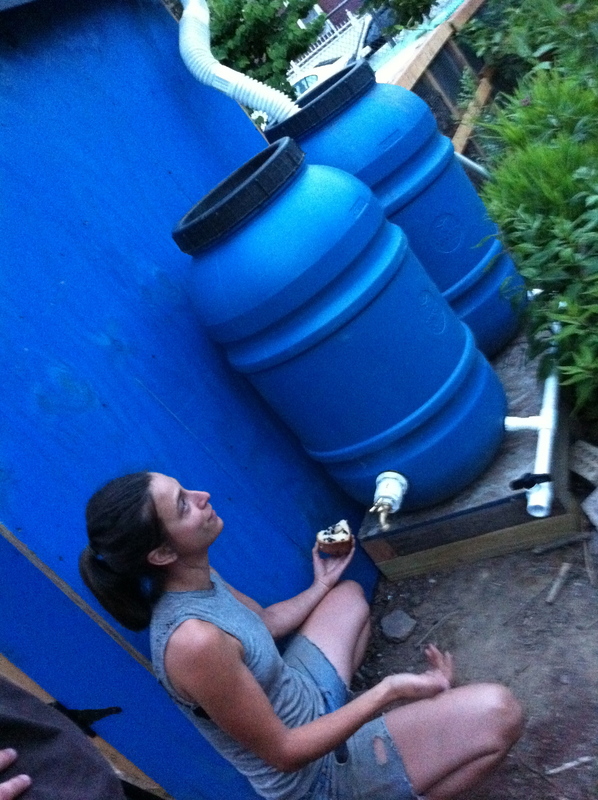 Our rainwater harvesting system is complete! Compost for Brooklyn Board Member, Kate Mitchell designed and built a shed that not only stores our tools, but also collects rainwater. 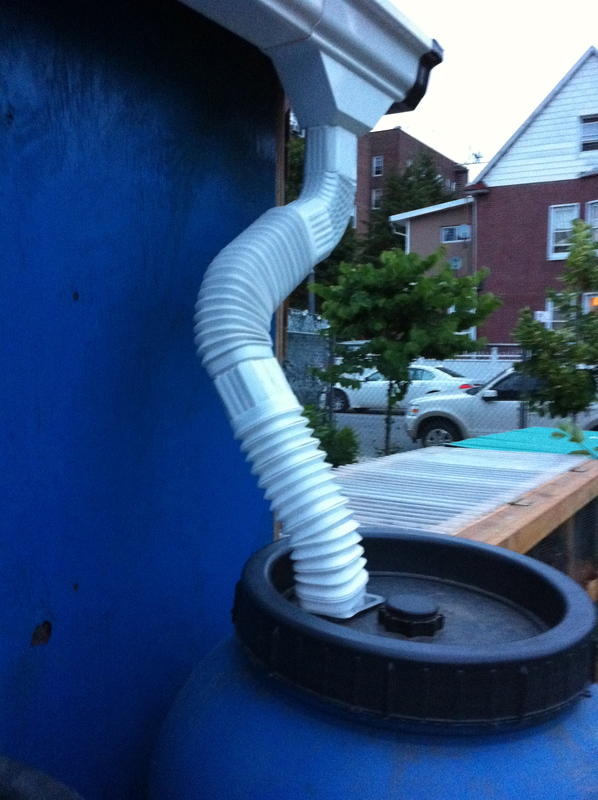 This system, which was completed last week, will reduce our garden’s dependence on NYC’s water supply. Come by the garden to check it out! This entry was posted in Education and tagged Water-Wise Gardening. Bookmark the permalink.